The famous “vellie” shoe are also known as 'velskoen' . These shoes have a unique history from the early 1900’s. 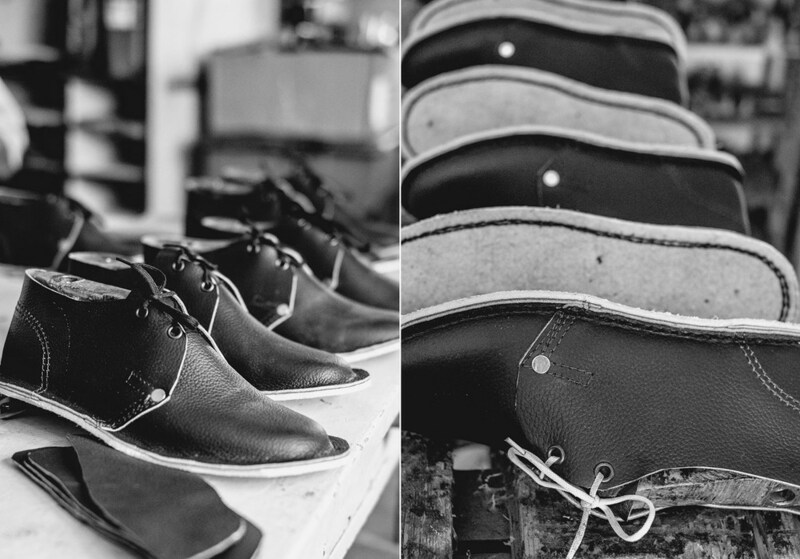 Stories of the birth of these shoes come from a small isolated village in the Cederberg mountains called Wuppertal. A group of German missionaries founded the town and opened mission stations belonging to the Moravian Church. One of the founders, Johann Leipold opened the first shoe factory and provided much-needed work for local skilled craftsmen. Oom Frikkie (founder of Schippers Velskoene) mentioned how they were taught similar techniques of making these shoes by also sowing them by hand and using old car tires for the sole of the shoe and locally prepared donkey hides as the leather. Frikkie Schippers started making seats for horse wagons at the age of 13. 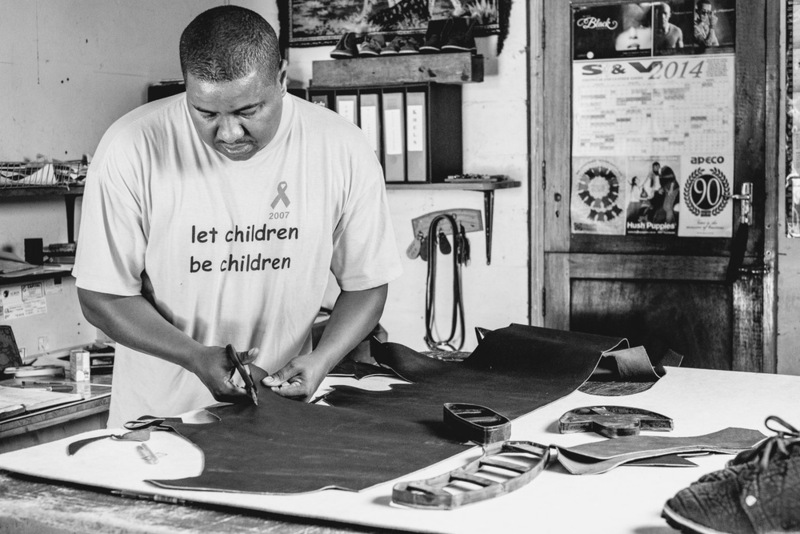 Around this period, Frikkie was removed from school to assist his dad in the families shoe factory. Oom Frikkie describes (with tears rolling as he speaks) how he remembers crying throughout the night because he could not attend school anymore. He remembers how he was already mentally prepared for his grade 8 year and was very happy with his good marks from the previous year. He also mentioned that looking back today, he doesn't regret the path he eventually took. The Factory later moved to Port Elizabeth and during this period his father passed away. As a result of the factory moving and his father passing, Frikkie found himself without a job and a father. This seasons saw him move back home to help his mother with the housework and caring of his siblings. In 1985, he bought what they called a "Hok", a Corrugated metal cubicle. He assembled it in his mother's backyard and it is here that he started making shoes. 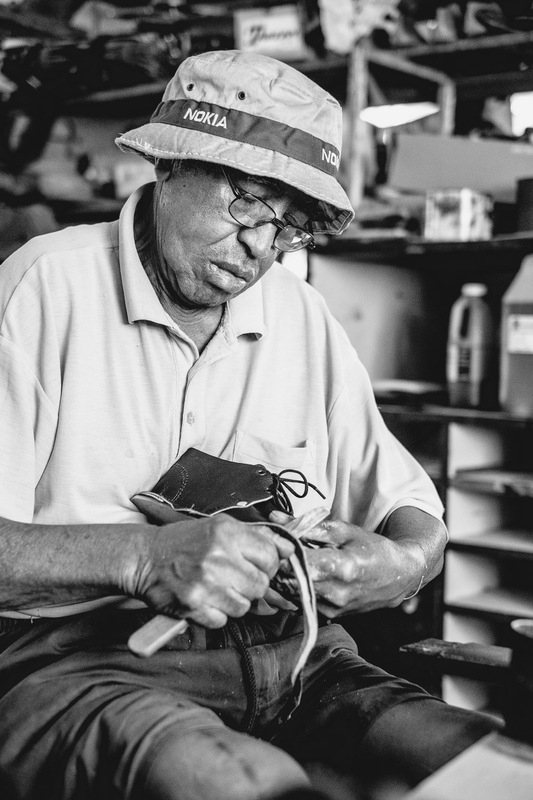 He gradually built his business from supplying shoes to the locals farmers to later opening a workshop in Tulbagh where he and his wife moved to. In 1969 a devastating earthquake completely wiped away his workshop and house. 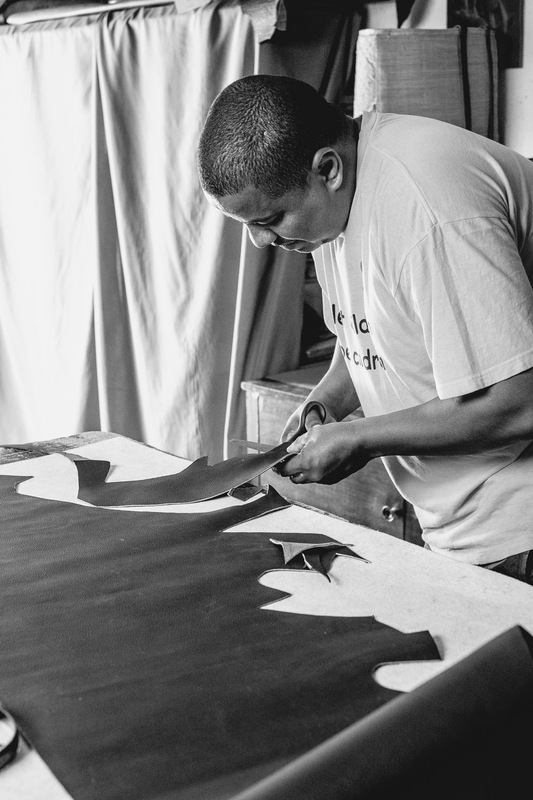 After losing everything and moving to their current hometown of Robertson, he had to start from scratch. He sent a letter describing his situation to the local city clerk. Graciously his request to be helped by the cities mayor was well received and he was told that they will give him a piece of land where he can start to build his new homestead. 1972 saw Frikkie build a basic house on the piece of land. As the years progressed they added on to the house and built the new workshop. They bought better machines that helped a lot with manufacturing shoes much faster. Their families business has grown and is now in the hands of Frikkies two sons. They now even produce fruit harvesting bags for the farmers. 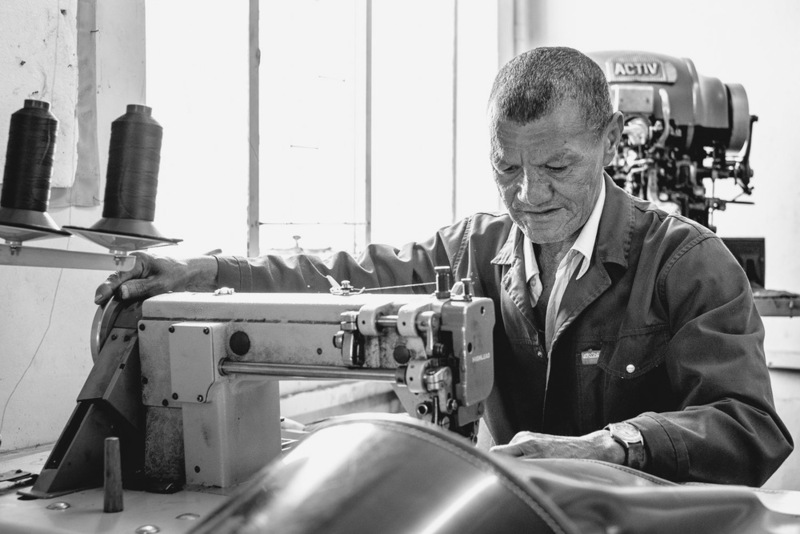 As a man of 82 years, Frikkie still describes how he feels like he can still work and that on some days he will go to the workshop and get busy with something. His sons aren't as excited to have him strenuously working as they don't want him to over excerpt himself at his age. 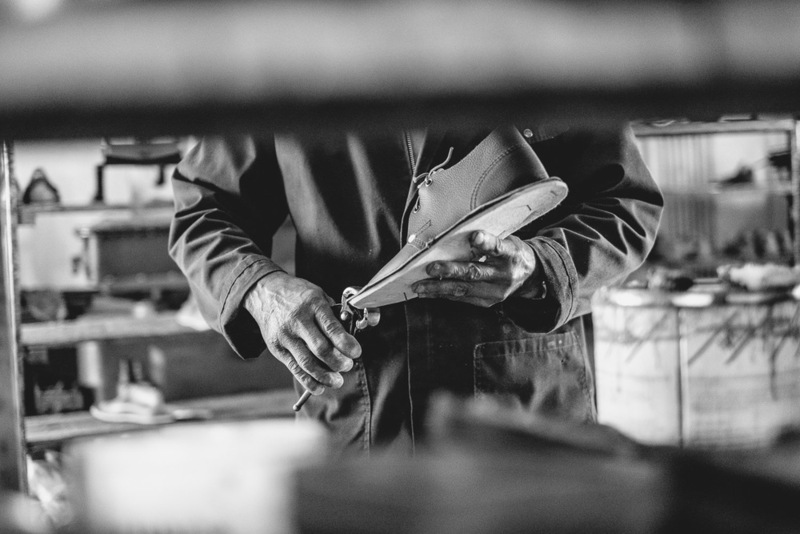 What really fascinated me after getting to know Oom Frikkie, was that he was raised and taught the craft of making these iconic South African leather shoes on a farm close to Tulbagh in the Western Cape. During this period the shoes started to become a highly sought after item in the Western Cape. Oom Frikkie looks back on his life story with fondness despite all the trials, and firmly believes that God's favour was upon his life.